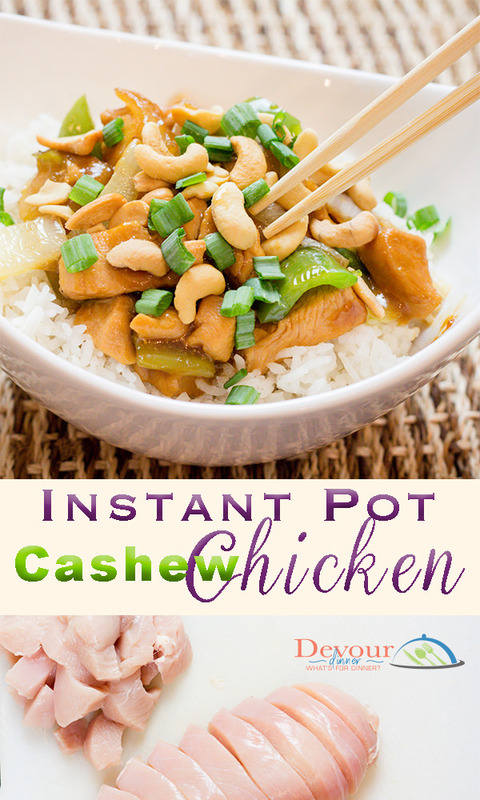 Cashew Chicken made simple in the Instant Pot. You will love how easy this recipe is to make and in just minutes. I will definitely make a double bath next time because we devoured this for dinner. 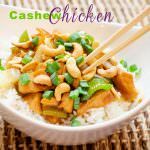 Cashew Chicken is a great recipe, but to be able to make it from home makes it sooo much better! 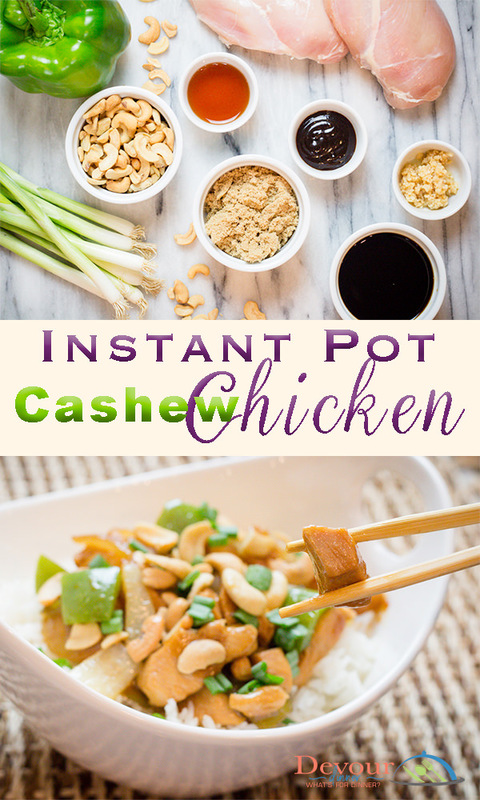 I can’t believe how easy it is to throw Cashew Chicken together in the Instant Pot that before you even know it, Dinner is done and a great dinner recipe at that! 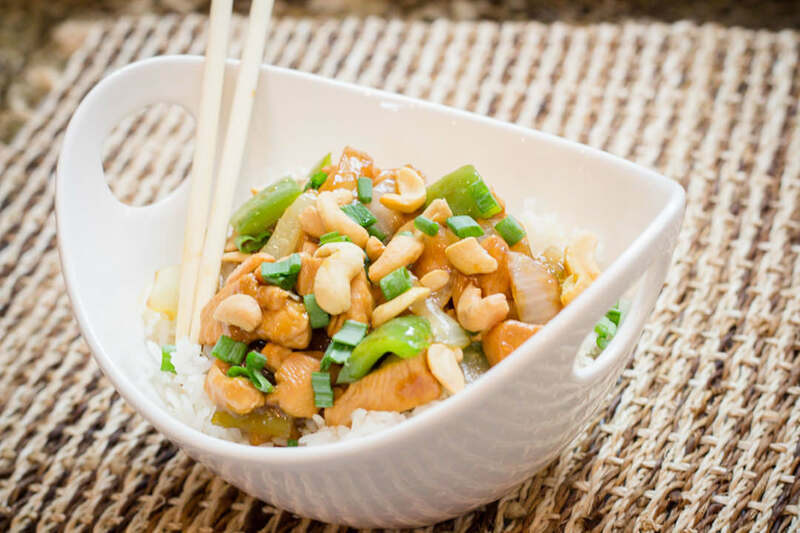 If you are a fan of Chinese or Thai food, you will love this simple easy recipe for Cashew Chicken. 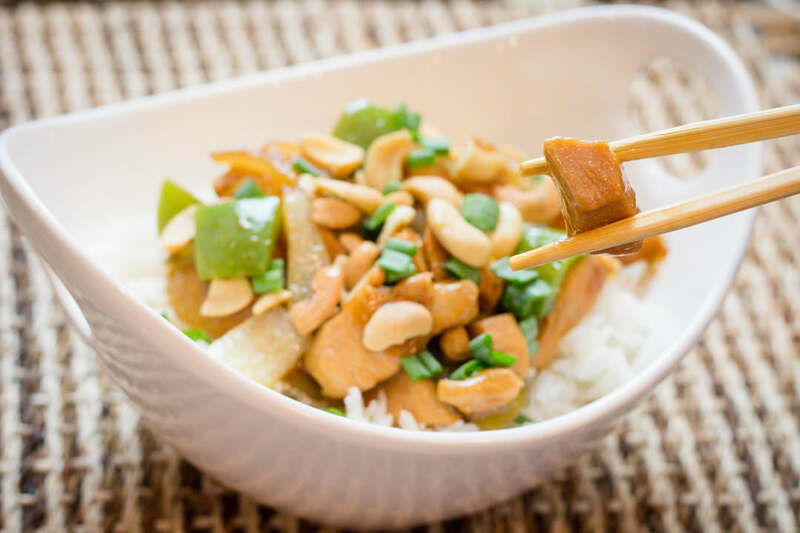 Cashew Chicken served with rice is delicious and a wonderful dinner recipe. 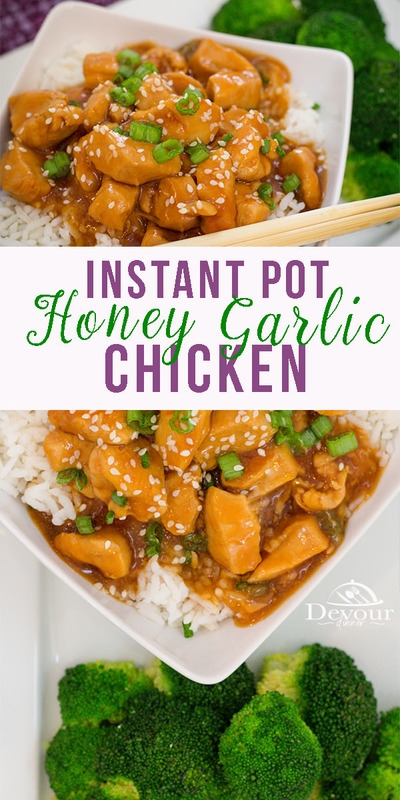 Made quick and easily in the Instant Pot, you will be eating before you know it. My family just loves this recipe. 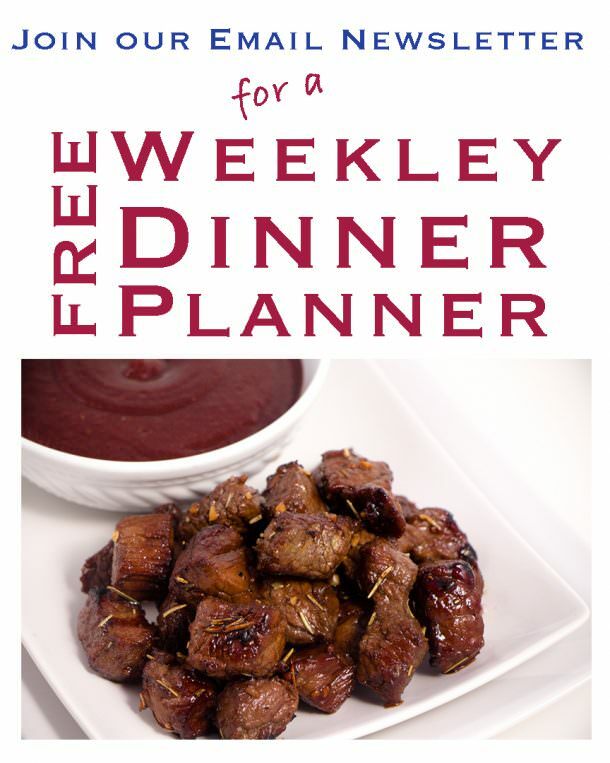 It’s an easy recipe and a great change from our traditional meal choices. No Cashew Chicken is not spicy. It’s a soy base and balances nicely with rice. Is Cashew Chicken Gluten Free? It can be! Use Gluten Free Soy sauce, and Gluten Free Hoisin Sauce. 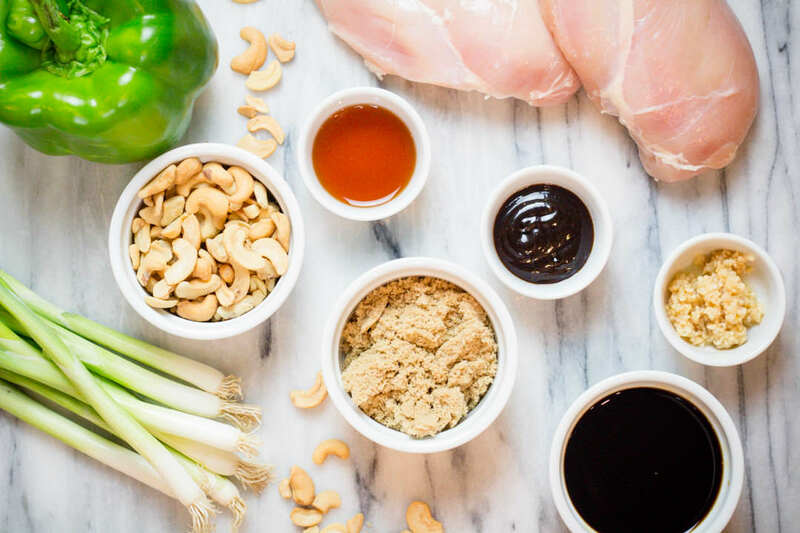 The Sauce for Cashew Chicken is easily made with a combination of soy sauce, vinegar, water, brown sugar and hoisin sauce. To thicken sauce, mix corn starch and water and add to sauce and the sauce will easily thicken. What Vegetables are in Cashew Chicken? 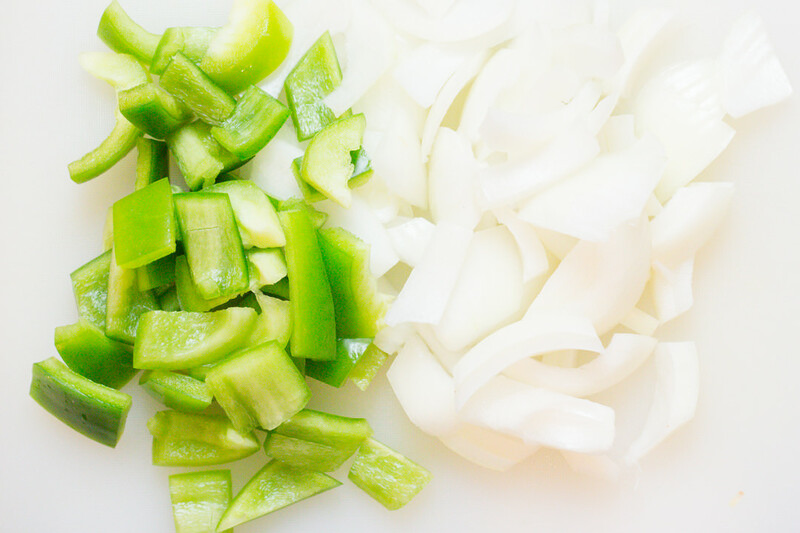 The recipe call calls for Green Bell Pepper and Onion slices. However, you can add sliced carrots, sprouts, or other vegetables if you wish. 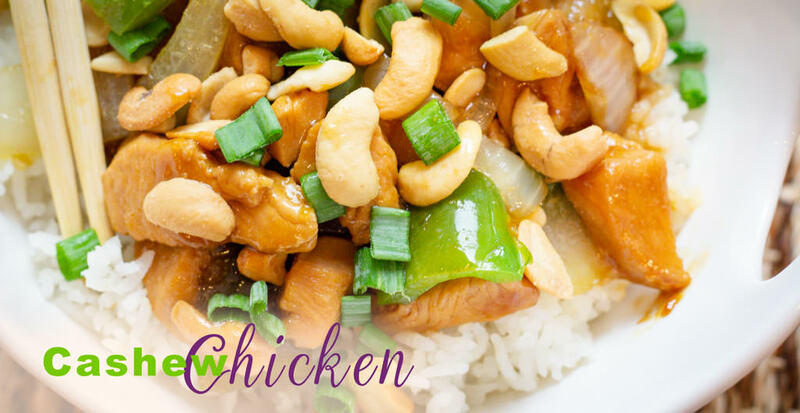 What do you serve Cashew Chicken with? 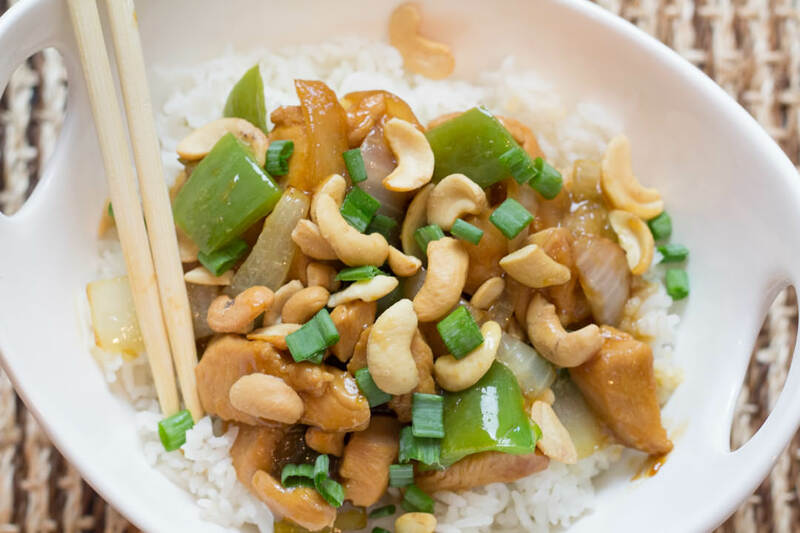 Cashew Chicken is best served with rice, either white or brown. However you can serve it with a bowl of steamed veggies too. It’s delicious. If you love Chinese Take Out as much as we do, then please try Honey Garlic Chicken. I have told my husband I’m never ordering either of these ever again because I can make it at home so quickly and it’s so much better! I’m not even kidding. My son has taken leftovers to school lunch even. That NEVER happens. I’m thrilled to have both these recipes, and will continue to make them in my meal rotation. 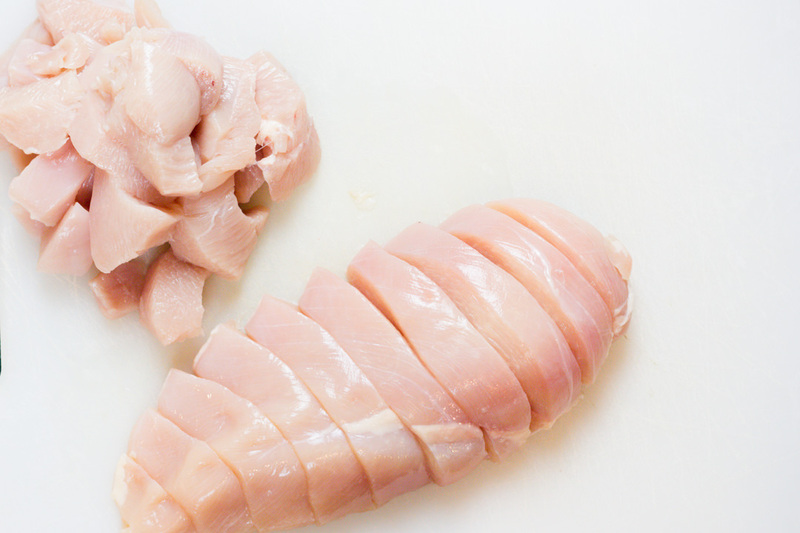 Cut your chicken in small bite size cubes. The chicken will cook faster and more evenly. 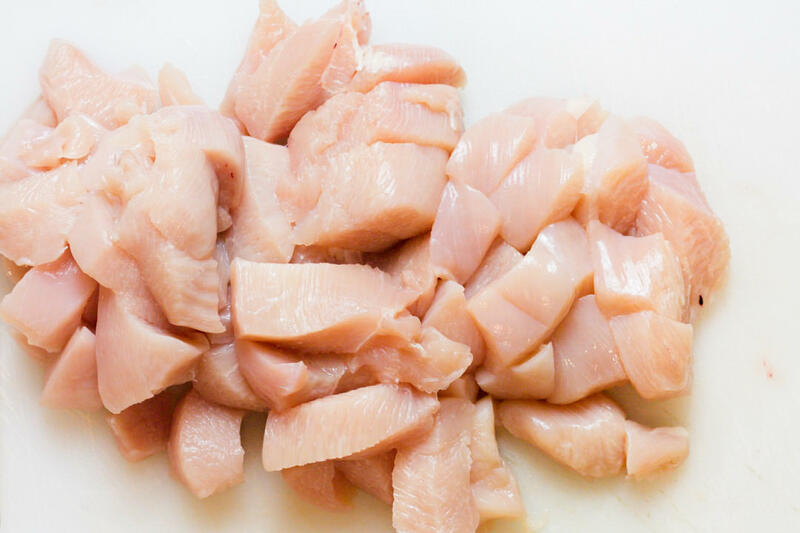 Cube boneless skinless chicken breasts into even size cubes. Heat Instant Pot on Saute’ and add Olive Oil and garlic. When hot add cubed chicken and cook through. Cook on Manual for 7 minutes. Quick Release and open lid. To thicken sauce (if necessary) add 1 tbs corn starch to 3 tbs water and add to mixture. Stir in Cashews and serve over rice. Enjoy! Heat Instant Pot using Saute and add Olive Oil and garlic. Add cubed chicken and cook through. Add soy sauce, water, vinegar, brown sugar, hoisin sauce. Stir to combine. Throw in sliced bell pepper and onions. Set to manual for 7 minutes. Quick Release, and open lid. If necessary mix 1 Tbs Corn Starch with 1/4 cup water and mix into sauce to thicken. Add Cashews and serve over rice. Hi Connie! I’m so glad to hear your feedback. I have to agree, it is better than take out. This happens to be my FAVORITE recipe. I just love how the flavors come together in this one. 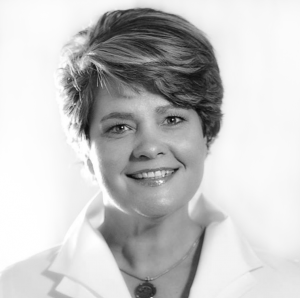 I hope you continue to follow along and try more of my recipes too! Happy Holidays! My sweetheart has problems digesting chicken breasts. Could chicken thighs be substituted? If so, how many would you recommend? I want to print it for my book— can’t find print button??? It’s a great recipe Dena. To print the recipe there is a printer icon on the recipe card at the very bottom of the post. In the upper right corner of the recipe card you will find the printer icon. Press the printer icon to print the recipe. Hope this helps! Looks amazing! Definitely going to give it a try soon! We can’t get enough of it. It’s so simple I love it.